In-Cab Control Of Your Air Springs. 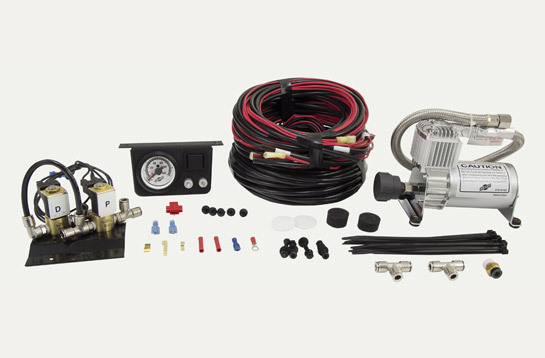 LoadController Panel systems are economically priced, popular on-board air spring compressor systems. They allow for inflation and deflation of air springs on light-to-medium-duty vehicles for epic convenience and leveling on-the-go. 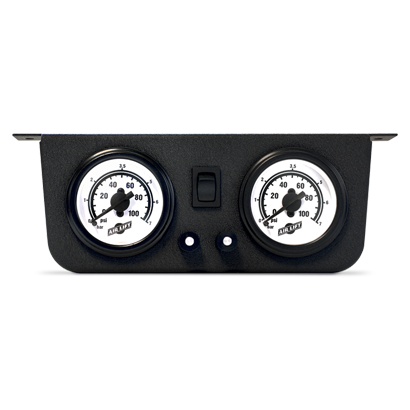 Our versatile compressor system makes it easy to adjust your air spring pressure for changes in load or road conditions. Choose either a heavy duty or standard duty compressor for your system. LoadController Panel systems are available in single or dual path models. Dual path allows you to inflate each air spring independently to different pressures depending on load, while single path allows you to inflate both air springs at the same rate at the same time.